Join Arj, as he digs through his notes and try to figure out which jokes will make it into his new show, and which ones will end up getting flushed away! Some call it a work-in-progress. 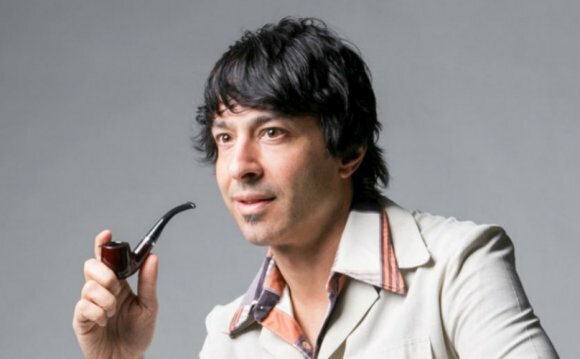 He calls it... Arj Barker: Keeper or Crapper 2016. Experience one of comedy’s greatest minds at work. Arj has firmly established himself on the international comedy circuit. He’s performed at every major Comedy Festival the World over, including the Just For Laughs Festival in Montreal, Edinburgh Fringe Festival as well as sell out seasons at the Adelaide Fringe Festival and smashing box office records at the Melbourne International Comedy Festival..
Arj has made numerous appearances on late night talk shows globally including the Letterman and Conan O'Brian shows, he starred as ‘Dave’ in the hugely popular Flight Of The Concords series as well as in his own Comedy Central half hour special on HBO. He is a favourite on Australian T.V. having appeared on all our major TV shows for the past 10 years and recently on The Project and Have You Been Paying Attention. Where is the Tomato Festival?